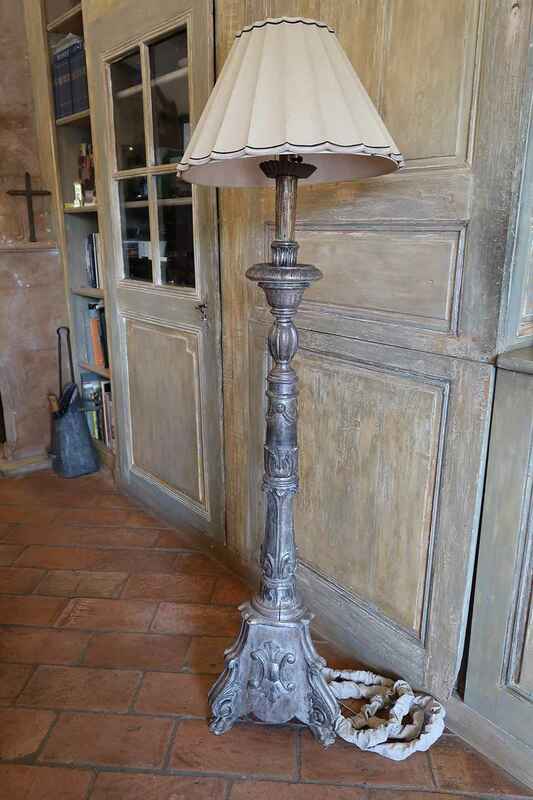 TURN OF THE 18TH CENTURY ITALIAN SILVER LEAFED CANDLESTICK NOW CONVERTED INTO A FLOOR LAMP. CIRCA 1800. H 62½" D 14" W 14"
TURN OF THE 18TH CENTURY ITALIAN SILVER LEAFED CANDLESTICK NOW CONVERTED INTO A FLOOR LAMP. CIRCA 1800. H 62½" D 14" W 14"